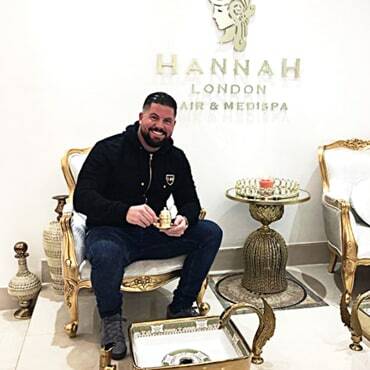 Here you will find some of the more famous faces who have visited Hannah London and you can see what they had to say about their luxury treatments and stellar Hannah London experience. Each and every one of our clients receives the VIP treatment and gets to indulge in the lap of luxury that is the Hannah London medispa. 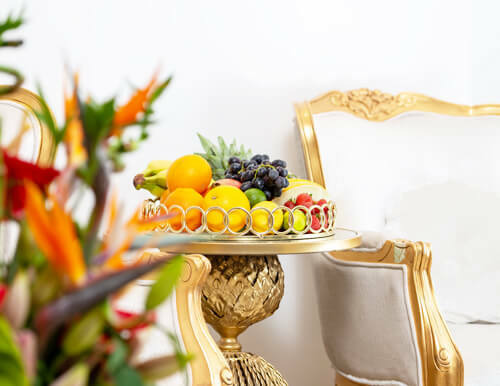 If you have visited us before to avail of our treatments and / or advanced aesthetics; then you would have already experienced our unrivalled hospitality, indulged in your complimentary refreshments, absorbed our signature scent and exotic décor and received your luxury treatment. For those who have yet to visit, these luxury accents (and more) await you – regardless of what treatment you decide to indulge in. 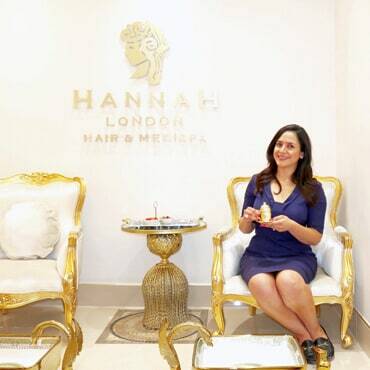 We are proud to offer this Hannah London experience which has been described as overwhelmingly luxurious and has received a sprawling and growing collection of glowing testimonials and five-star reviews. 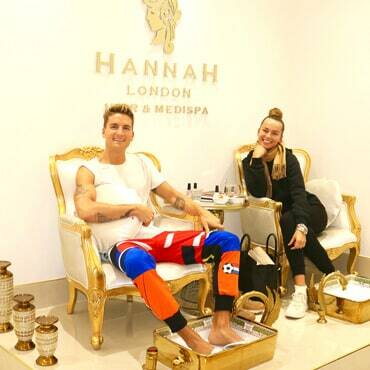 Made in Chelsea star, media fixture and fashion label director Oliver Proudlock and his girlfriend Emma visited the medispa to indulge in a massage and pedicure. He had nothing but praise for our services, premises and team members and he was simply a pleasure to have. The beautiful and classy Nazaneen Ghaffar can be seen on Sky News informing us all about the weather. Actor Fabrizio Santino visited us for a relaxing and rejuvenating luxury massage. Known to audiences for his roles in Hollyoaks, appearing in stage plays and giving acting seminars and Q&A’s around the country; he was a pleasure to pamper at Hannah London. The super athletic Kashira Whiteley chose Hannah London when she decided on lip fillers. The divine and graceful Sheikh Beauty (Shaz) visited us for a luxurious and beautiful wash, cut and blowdry from our hair specialists and she brought her beautiful baby along too! Sam is a freelance beauty journalist and expert who has contributed to the likes of Grazia and has launched Just.Add.Beauty. You can rely on her to know the best beauty treatments that are worth indulging in. She availed of the amazing LVL Lash Lift at Hannah London. Winner of Celebrity Big Brother 2010 and a fixture on TV screens and within magazines; Alex Reid indulged in a new haircut. It was a pleasure to have him and to see him enjoy our luxury medispa. 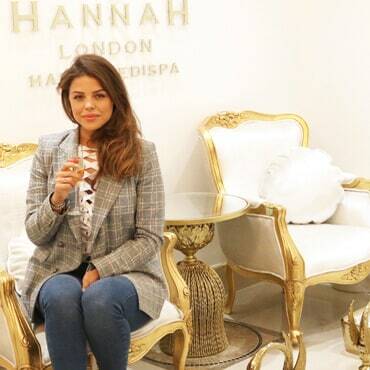 Known for appearing in The Only Way is Essex and being a successful beauty and fashion influencer; Chloe Lewis attended Hannah London for our grand launch and graciously did a meet and greet with all who attended. Alongside taking pictures with her fans and followers, she also visited our luxury pedicure lounge. 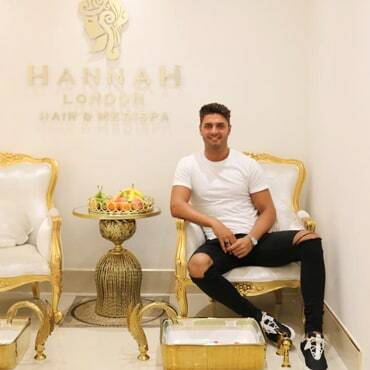 Our good friend and Instagram luxury motor influencer Lenny Howlett treated his girlfriend to some birthday pampering at Hannah London and then they both came back together for luxurious couple’s pampering. Gaining fame after appearing on Love Island, ‘Muggy’ Mike Thalassitis has gone on to become a media fixture and has affiliated himself with many fashion brands such as the likes of BooHoo Man and Pretty Little Thing. 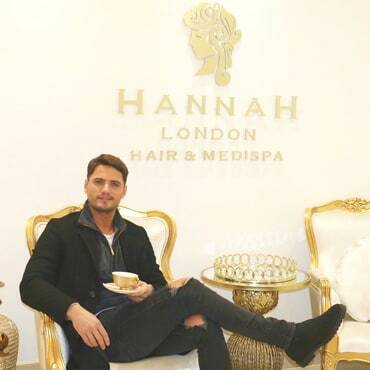 Like all of our clients, he appreciated and enjoyed the Hannah London Experience. 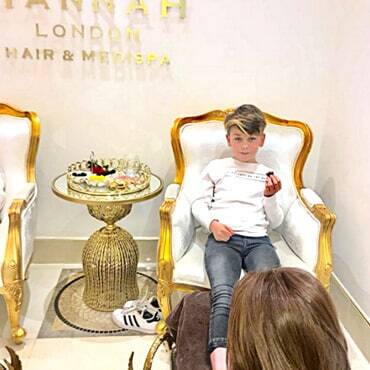 Makeup master and social media star Makeup By Jack dropped by for some pampering and relaxation at Hannah London. Our makeup specialists loved having a like-minded makeup lover in their midst. Jack enjoyed some rest and relaxation like the true VIP that he is.